An inspiring opportunity to work with a leading teacher, and play one of the finest organs in the UK. Joint event with Newcastle and District Society of Organists. Give your pedal technique a make-over under Roger Carter's expert guidance! Coaching from Richard Brasier in playing colourful late Victorian and Edwardian repertoire on a newly restored organ of the period. For organists of grade 5/6 standard to diploma level. 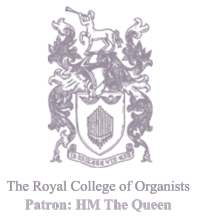 A joint BIOS/RCO event exploring some superb organs in Greater Manchester. A class exploring an exciting and engaging area of repertoire. Study day for those preparing for or considering CRCO, ARCO or FRCO. The course for teenage organists of grade 7 standard and above, offering expert tuition in repertoire, keyboard skills, choral conducting and accompaniment. Artistic Director, Daniel Moult. A superb combination of music, instrument and tutor! Learn about a fascinating and colourful area of repertoire. The big course with the personal touch for all ages and stages. A biennial national event, the fifth OrganFest will be held this year at landmark churches in Cardiff, at the superb National Museum and at St David’s Hall, and a gala organ concert given by the internationally acclaimed organist and improviser David Briggs will take place in the magnificent surroundings of Llandaff Cathedral.